Hello Kitty Deluxe Nursery Mama Bag | Includes a changing mat. 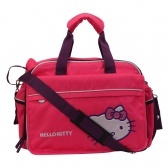 Perfect for travelling with, the Hello Kitty deluxe nursery mama bag has ample space to carry all essential items that your baby would need on the trip. 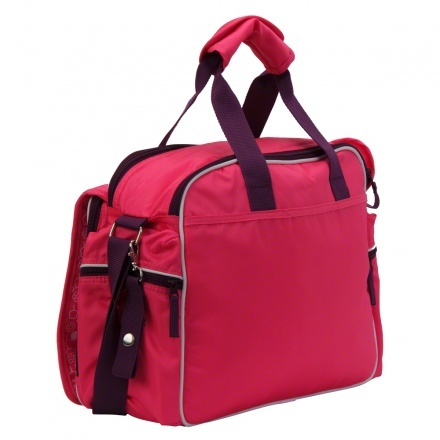 This trendy bag comes with several compartments for storing diapers, food stuff, a few sets of clothes and more. Feature 1 : Includes a changing mat. 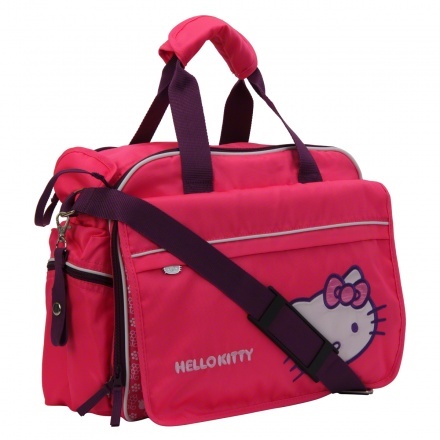 Feature 3 : Adjustable shoulder strap. Feature 2 : Multiple utility pockets.